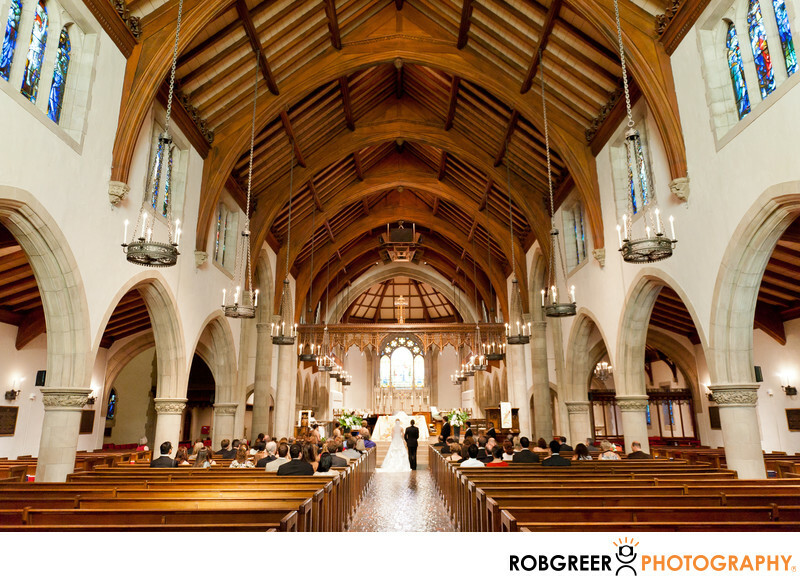 This photograph features an overview of a church wedding ceremony at the All Saints Episcopal Church. All Saints Episcopal Church is located at 132 N Euclid Ave, Pasadena, CA 91101. Phone: (626) 796-1172. Website: http://www.allsaints-pas.org/. Contact Person: Stasia Dahlstrom, (626) 796-1172, sdahlstrom@allsaints-pas.org.